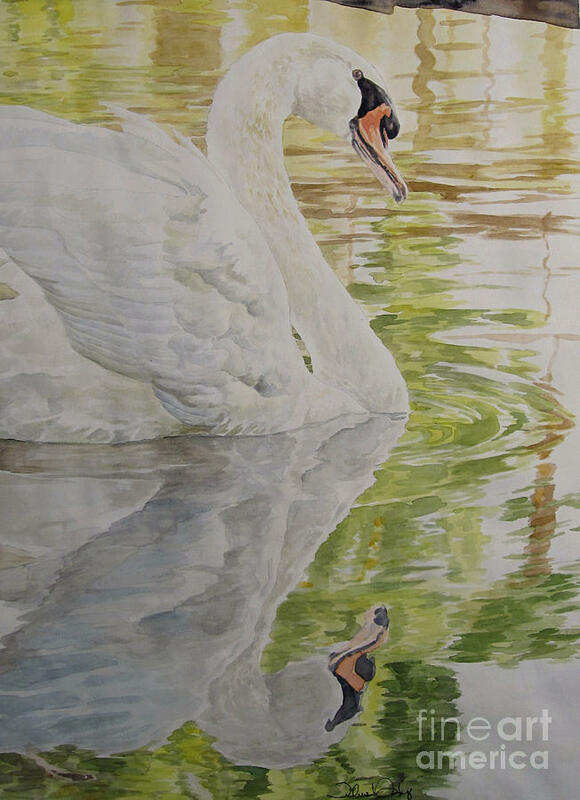 Swan Lake-lep Available is a painting by Theresa Higby which was uploaded on July 14th, 2010. Yes, $60 for the original. I'd rather have it hanging and appreciated than in in my studio stack. Limited Edition signed and numbered prints are available directly from the artist. Send an email to request more information. This is GORGEOUS ! Thank you for your comment on my birds! Theresa, your watercolor paintings are gorgeous! I especially like this swan and your Arizona Hawk. I spend my winters in Tucson and love the local flora and fauna. You are clearly ahead of me in your depictions of them. Thanks for your nice comments on my agave painting. Another beautiful painting - love the reflections!